You may have the greatest elearning course of all time, but no one will know if it never gets taken. 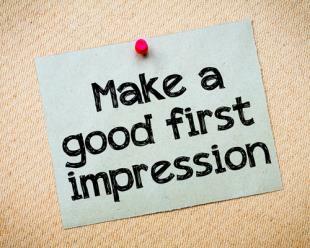 Whether a course is required for compliance or taken for fun, selling to HR or a single customer, your course needs to make a good first impression in order to make a sale. To help you, here are a few tips to attract buyers and optimize how your course will be perceived. Whether hosted on an LMS or sold separately online, the first thing the consumer sees about your course is the title. It may be obvious, but keep your title clear and concise. Using puns, wordplay, or other attention-getting devices only confuses consumers and makes it more difficult for them to find what they’re looking for. Choose your thumbnail picture wisely. Consumers often look at your course picture before even reading the description, making it a surprisingly important aspect to selling your course. Pixelated photos, company logos that are irrelevant to the course matter, overused stock photos – all things to avoid when selecting your photo. Instead, go for pictures that enhance the course description and are visually appealing – perhaps an intriguing screenshot from the course or a more appealing stock photo. High-quality thumbnails will not only help appeal to consumers, but also make your course stand out from the rest. Next, consumers look for the description. They want a brief yet informative summary of what your course covers. Make sure the description sounds professional and is free of errors. It should include major topics, discussion points and learning objectives, in addition to providing information about the structure of the course. Does your course have videos or quizzes? Are there interactive games? How long is it? If your course fulfills a certification requirement or requires prerequisites, be sure to mention it. Providing all of this information helps consumers to know what they’re getting from your course. A video summary or preview, though not always required, can be a great tool to help consumers choose your course. In a short video, you can give them a glimpse of the graphics and course content, in addition to demonstrating how it works. Share screenshots that show off dynamic and engaging segments from your course. This preview can help settle doubts that purchasers may have about the course quality or content and ultimately convince them to buy it. It’s an efficient way to share more about your course and convince consumers to take it. As you make these changes to your courses, take notice of how it affects sales and views. Play around with different phrasing, photos, and content to see what works best. You may be surprised by the significance of these tweaks and how much influence they can have on your course’s success.